Calvin Campfield “Gus” Rossman, 91, of Warren, PA, passed away unexpectedly Wednesday, October 11, 2017, at U.P.M.C. Hamot in Erie, PA.
Born on September 7, 1926 in Warren, PA, he was the son of the late Elmer and Gertrude Haise Rossman. Gus was employed for many years at GTE Sylvania. 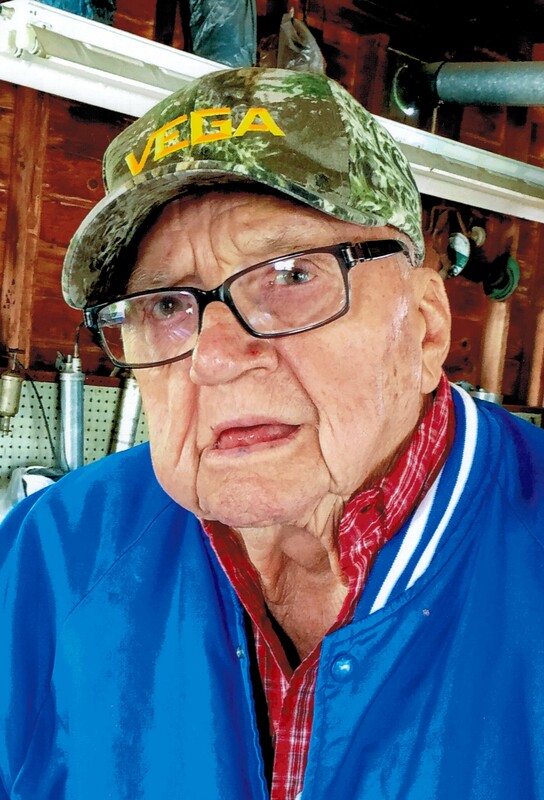 He was a member of St. John’s Lutheran Church, Struthers Hose and was a veteran of World War II having served with the U.S. Navy. Gus was a simple man, enjoyed taking care of his yard, and enjoyed spending time with his family. Gus is survived by his wife of 67 years, Emilie Andersen Rossman, whom he married on May 27, 1950 in Warren, PA; 2 children – Andrea Atkins of Warren, PA, and Mark Rossman and companion, Catherine Phillips, of Warren, PA; 6 grandchildren – Aaron, Mynda, Taylor, Jenna, Bayli, and Rachel; 5 great-grandchildren – Ella, Pacen, Piper, Calvin and Leland, and one niece – Dianne Seymour Brown. In addition to his parents, Gus was preceded in death by 1 son – Geoffrey “Jody” Rossman, 1 grandson – Brooks Rossman, 1 brother – Harrison “Sam” Rossman, and 1 sister – June Seymour. Friends may call at the Donald E. Lewis Funeral Home, Inc., 304 East Street, Warren, PA, on Sunday, October 15, 2017, from 2pm until 4pm at which time a funeral service will be held with Rev. Susan M. Scofield, interim pastor of St. John’s Lutheran Church, officiating. Interment will be at the convenience of the family. Those wishing to place a memorial may do so through Paws Along The River, 212 Elm Street, Warren, PA, 16365, or to a charity of one’s choice. Our deepest sympathies to Emmie, Mark & entire family. Our thoughts & prayers go out to all of you. Good ol Gus, what a guy, sure will be missed by many. Gus kept on going for longer than most, driving at 91, stopping in at Counts. I hope for peace for a great lady&partner of Gus’s for so many years, Emmy.